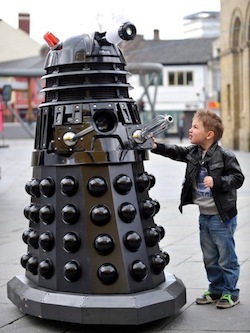 Reflective haute couture and pancakes custom drawn by a LEGO machine are among the oddities taking over Newcastle, England, this weekend during the Maker Faire UK, an annual two-day festival of creativity. Inventors are converging for a celebration of arts, crafts, science and engineering at the Centre for Life April 27-28. The tradition traces back to the U.S. in 2006 and Dale Dougherty, co-founder of Make Magazine. But it has special resonance in Newcastle, a tough northern city with a history of innovation from Joseph Swan, who produced an incandescent bulb before Edison, to iPhone and iPod designer Jonathan Ive. Among this year’s projects is the PancakeBot, which draws on a griddle with batter. Its ingredients: nothing but LEGO and ketchup bottles. Miguel Valenzuela’s daughter Lily, then a 3-year-old, declared in 2010 that he could make the machine. The inventor had to follow through — and his efforts soon went viral thanks to YouTube, Wired and PC Magazine, among others. 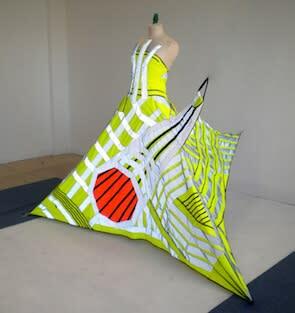 This year’s Maker Faire UK will also include the Dazzle Dress by Artist Helen Schell. It’s a “ball-gown for the Queen of the Moon” made from hi-visibility safety jackets. 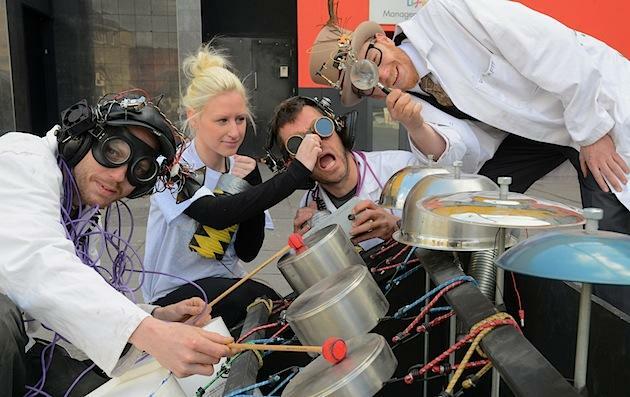 But the festival isn’t all fun, games and whizz-bang science. Vince Cable, Britain’s business secretary, emphasized how it could inspire the much-needed next generation of engineers, especially “women who are chronically under-represented in the profession." Getting there: The national carrier British Airways flies into Newcastle and dozens of other UK destinations.